Lunar Gala is a student-run fashion show at Carnegie Mellon University. Each year, the event is held around the Lunar New Year, and Lunar Gala is arguably one of the largest fashion events in Pittsburgh, having sold out over 1200 seats. I was working within the Web team along with our web coordinator, Shannon, and two web developers, Matt and Emma, for the organization, and our goal was to design a web experience that informs and engages the audience to our theme this year, ANOMIE. The inspiration of our website comes from the common motifs of this year’s theme ANOMIE: desert lands, delirium, renaissance arches. 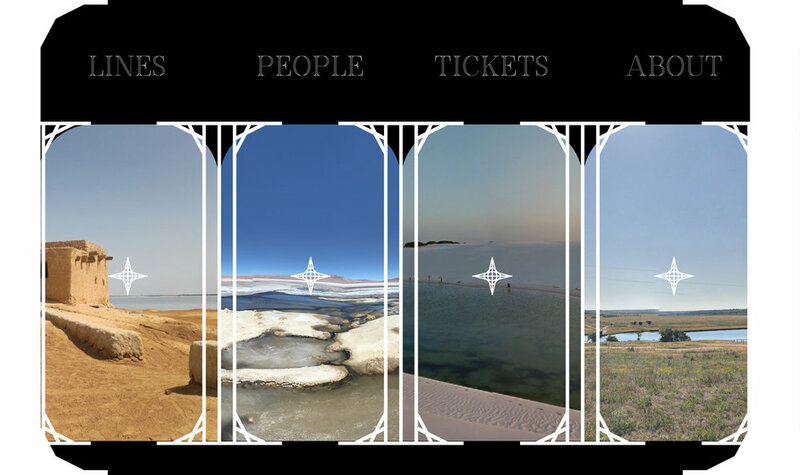 On top of conveying the necessary information about the show on the website, we tried to mimic the first-person perspective of peeking out the windows to the landscapes under extreme conditions. And our interaction with the distortion imitates the look and feel of high temperature. During the first two months of the project, the creative team explored visual representations around the philosophy behind anomie and developed the ANOMIE brand based on the explorations. Our brand guideline (shown below) includes image creation guidelines, typography, motifs, motion guidelines, etc., and our web team developed our visuals based on the guideline. This brand guideline was created by Anna Gusman. One motif across different media in the brand was creating an illusion of 3D space with 2D elements, thus most of my explorations shown below are ways to represent a 3D space with graphical shapes: perspective framing, perspective typography, and picture frames.